Gorgeous gorgeous soup Seana, love mushrooms and mushroom soup is so comforting and delicious. Your photo is spectacular too! Looks delicious – one of my favorite soups. Thanks! Mine too, incredibly easy to put together and so rich, creamy and comforting. I was probably 21 before I realized that cream of mushroom soup didn’t always come from a can. We’re about to get another cool snap, and that is the perfect recipe to enjoy before summer takes hold! I know exactly what you mean…I thought all soup came from a can! My mom was a great cook but I don’t think she ever made soup (now that I think of it). Maybe a turkey soup right after Thanksgiving but that’s it. On a cold, blustery spring day up north, this looks mouth-watering!! I have had trouble finding the hours in the day to blog, so it has been neglected. I always enjoy catching up with my blogging friends and was delighted to see your post! Bummer. Well, I know how it is. There are things I don’t care for and even the smell of it is bothersome. Bell peppers! Mushroom soup is one of our favourites – so creamy and delicious. Glad you’ve discovered it too! It’s one of my favorites too and don’t know why I never tried to make it myself. I’m glad too! Thank you! Love mushroom soup. Cremini is still the one I have to try my hands on. I am keeping your recipe safein my mind to recreate it soon. Nothing to beat a good hearty creamy soup. I agree. A hearty creamy mushroom soup is so silky and comforting. I love broth soups but sometimes a good creamy soup is just what the soul needs. Cremini mushrooms are my favorite. They seem to be a little firmer than the white mushrooms. They have a buttery flavor even if you don’t cook them in butter. I love them Sonal. And isn’t it so easy to make. Nice with a hint of freshly grated nutmeg during autumn. Thanks for the shout out, BTW. And your bowl and plate go so well with the soup itself. This was one of the first soups I ever developed. Funny that I haven’t made it since last year. Must correct that. ;) Did you make the Swiss roll? I did over the weekend, but added butter to the mix. Ouch! Didn’t quite work out. Will have to stick to the actual recipe (difficult for me) and make it over the next couple of days again. Tasted good, at least. Have bought in mushrooms (just white normal, or closed cup as we call them), strong Cheddar and wholesome bread to make this again for tomorrow evening. Looks like perfect timing as the next couple of days are going to be chilly. Thrilled you liked it. So sorry to hear you have a cold! I would bring this soup to you in a heartbeat if I could. Hope your cold is short lived Margot. And again, the jelly roll was fabulous. I had a very happy household last evening. My son even asked if I would make it regularly. :) Of course I said “yes”! Thanks again for giving the Swiss Roll a try… I’m so pleased that you enjoyed making it and that the family enjoyed eating it! 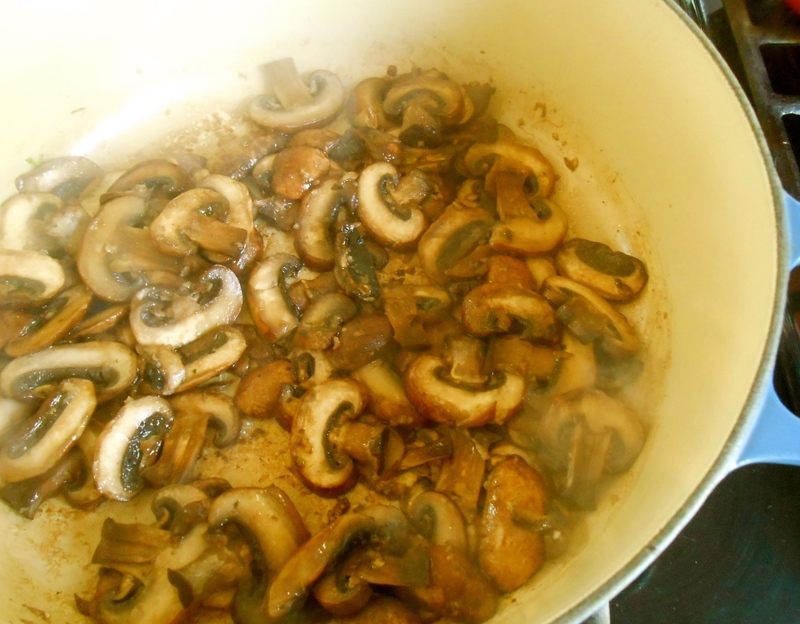 I haven’t made homemade mushroom soup yet–it looks and sounds so delicious! If you love mushrooms, you’ll love this soup Nancy! It so creamy and delicious and it really doesn’t call for that much cream in the ingredients. Yum! Such a lovely and healthy soup Seana, I can just imagine it drizzled with a little truffle oil too! Mmmm. Truffle oil would be wonderful with this. Lovely idea. I have a little bottle of truffle oil, why didn’t I think of that? 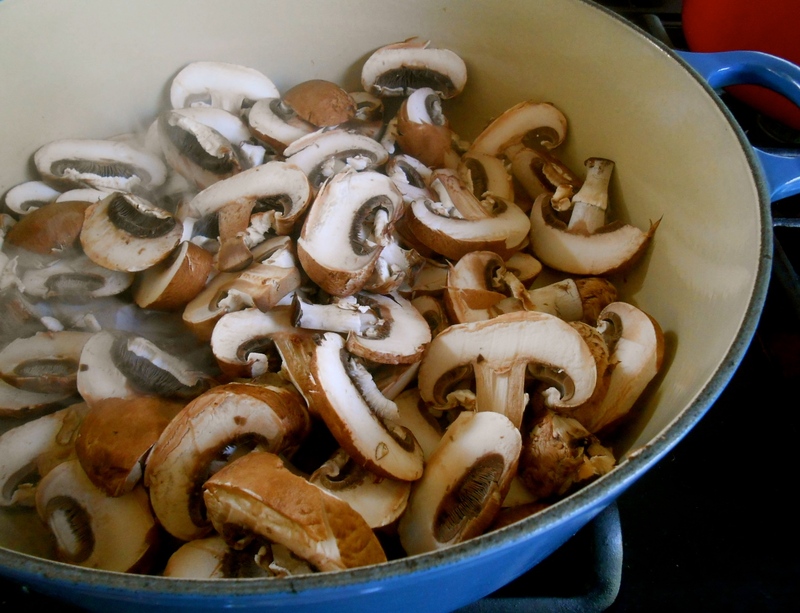 :) Next pot of mushroom soup I’ll make sure to add it. So funny; I bought mushrooms this afternoon and now just had to turn on my heat….hmmmm, guess what’s sounding good! :) I just love word phrasing of generations before us! Thank you Janet! I do love a good mushroom soup and this looks really good. It’s great all the different ways we get inspirations. Ah, thanks. 😊. I do love the community. When the Spring finally has arrived I said to myself “no more soups until next autumn”…. looking at your soup I may be not true to my word… it looks delicious! I know what you mean, but it’s so hard for me to not make soups. The weather has to be really hot for me not to crave them. :) Thank you for stopping in Margherita! I’ve been wanting to make mushroom soup for a while. It’s one of my husband’s favorites. Will try to make a pot soon! Thanks! :) Thank you! Mushroom soup is so good this time of year. The mushrooms in the market are incredible right now. Very inspiring! 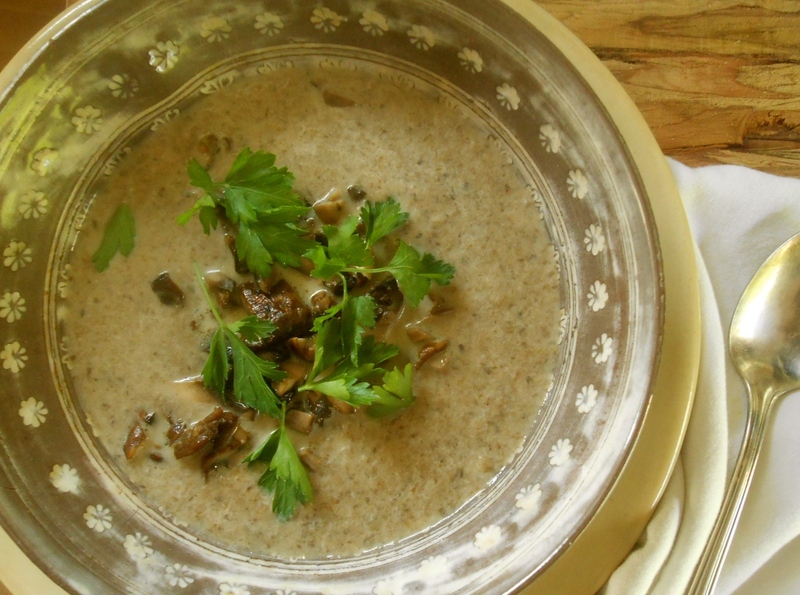 Mushroom soup is so delicioius and your recipe is just about perfect. I reckon you should courier a bowl of this to my door, stat! Looks lush. You are currently reading luxurious mushroom soup at COTTAGE GROVE HOUSE.